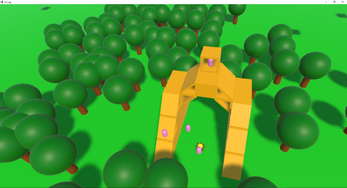 Update (2016/08/30 - 12:00 PM): AI pathfinding has been fixed! Check out the new screenshots to see the people climbing around the more complex creations. Please download V0.2 to try it out. 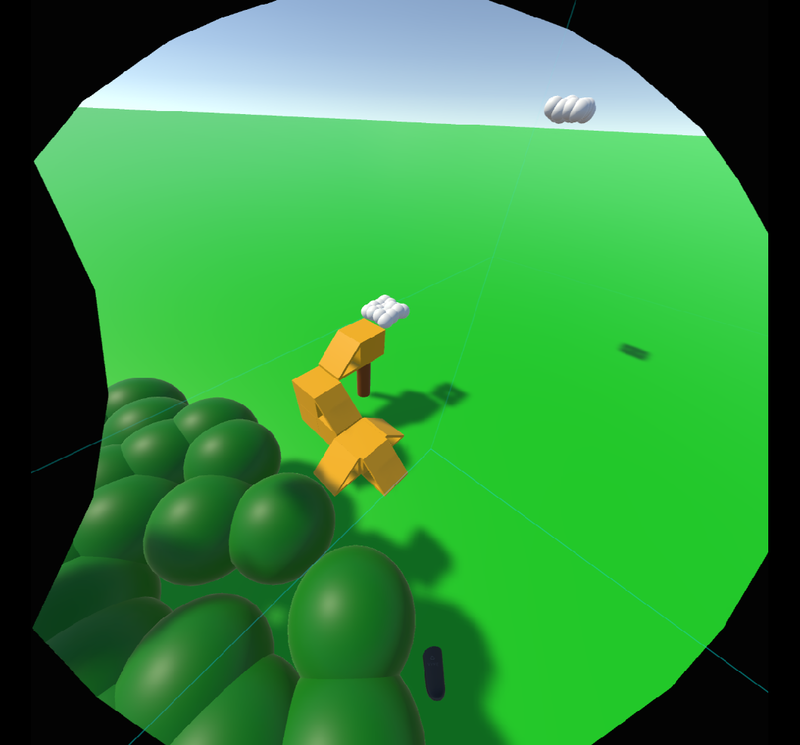 Update (2016/08/30 - 7:00 AM): AI pathfinding is broken and I am working on a fix. You can still build structures but don't expect the people to find ways up them. 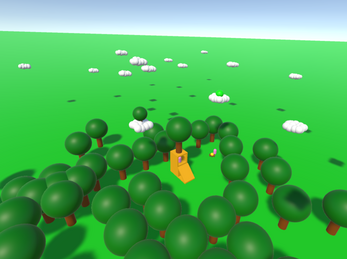 Lil' Logs is a game about crafting and building. You start out in a forest with a small camp nearby. You can take trees around you and turn them into blocks, ramps, and houses for the people. If there are houses, over time more people will "appear". While holding a craftable item: Bring up the crafting menu. While holding a cloud: Remove cloud. While holding nothing: Creates a cloud. Clouds are your inventory. Just have a cloud nearby and stick an object in it to get it out of the way. Multiple items can be stored in a cloud, but they all must be of the same type. 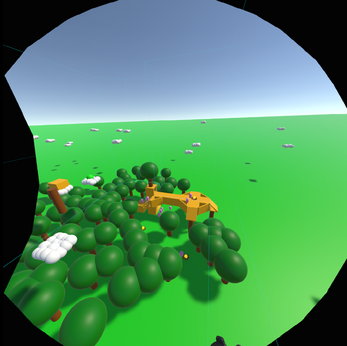 AI pathfinding is buggy after placing a lot of items. I don't actually expect the people to climb towers. If the pathfinding works, the people will gather in nearby houses or around camp fires. Sorry, no saving/loading yet. If enough people like the game, I'll add it in later. Picking up and placing blocks too fast causes the game to stop letting you pick up blocks. I'm not sure what causes this, but just wait at least one second before placing a block you just picked up for now. Camp fires are almost invisible in clouds. When creating logs by pulling off the leaves on a tree, the log preview placed object will be a tree instead of a log. Things can be attached to the sides of logs and leaves, but leaves and logs cannot be attached sideways to other things. Some people will revisit scenery on their way to a location. Some people like to take the long way to a location. Placing and removing a block next to the house allows people to walk through that wall of the house. People don't like it when you place ramps in order of decreasing height. To please the people, place them in order of increasing height. Hi, I used this game to take my testing skills to VR. I found a couple of things that were interesting to find, let me know if you need a link to the screencapture I took while playing/testing. That was it for now, please send me a PM/e-mail when you want to have the screencapture and let me know what other details are handy for you to have which I could provide you as a tester. Very cool little sandbox! Also appreciate the way the grid system is set up.